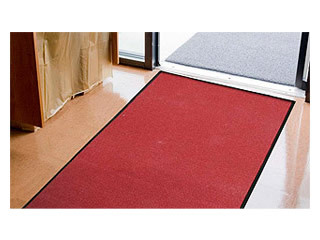 Description: The economically priced Diamond-Track Entrance Mat is a needlepunched, polypropelene carpet mat that combines modest durability with attractive apperance. The high-low surface pattern promotes aggresive cleaning action while its rugged vinyl backing provides skid resistant traction. 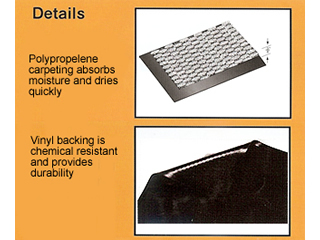 This is a great mat for stopping dirt and moisture at the door and promoting cleaner, safer interior floor.